Are you searching for Unique and exciting entertainment to wow your crowd? As a host, surely, you must be seeking someone that knows how to keep all of your guests engaged and entertained. You want your event to be remembered. Let’s take a look at unique party entertainment ideas that are sure to please your guests. The featured comedians listed below are sure to give your guests a belly of laughs. Their material is drawn from finding humor in everyday life situations, many of which are relatable to anyone that has gone through similar experiences. If you are looking for comedians that don’t play into the typical “late night” acts, with offensive material, “clean comedy” might be an option worth looking into. Being able to pull off “clean comedy” and still keep the room laughing uncontrollably takes a bit of brilliance. Sure, unfiltered raw comedy can be a belly of laughs too. However, there comes a time when that genre is not always suitable for the general audience, given the occasion. For one of the more unique party entertainment ideas, there is live painting! Heidi is an incredibly talented event painter that will capture your live event like no other. Make your memories special. Have them captured in painting. 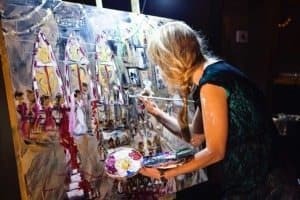 She is an artist that creates beautiful “song paintings.” She spends roughly three hours on a live painting and has received high praises for her remarkable work. He draws his material from family fun. Who does not have a family member that we can poke humor at? We have all been there. If we cannot make fun of our family, who is going to? Stromberg’s humor is something we can all relate to. His stories of growing up are a riot. Your guests will get a kick out of hearing about all the quirky things he has to share about his family and the things that they have done. This man will captivate your guests with humor and magic. Be ready to laugh and be amazed. His comical magic is fun for guests of all ages. He has been known as being a “Justin Timberlake meets David Copperfield.” He sings, dances, tells jokes and does magic! The man is multitalented. He is bringing back the art of ventriloquism and bringing his friends along, including his talking dogs. Your guests will be laughing their hearts out. Audiences have described his interactive act as “feel good” and “heartwarming.” You can count on audience participation! The former “Star Search” winner is a man of many talents. This comedian-musician-ventriloquist-puppeteer will have your whole family laughing hysterically. You will fall in love with the “friends” he brings along. Your kids will love him. Grandma will love him. 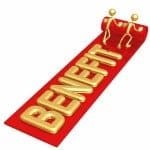 Finding the right kind of talent can help turn your event into a huge success. Your guests will leave, remembering all the fun they had. Your event will be raved about and remembered. Unique party entertainment ideas like these will make it all happen.